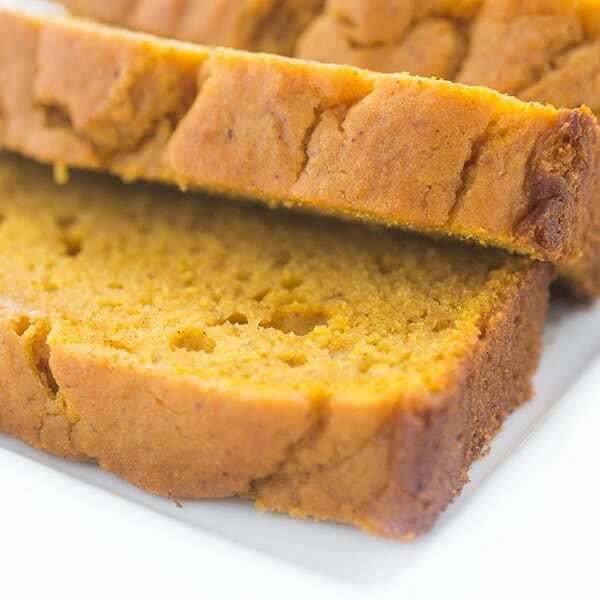 This moist and dense healthy pumpkin bread recipe is full of whole grains, cinnamon and other warm spices that reminds you of fall. Perfect for freezing! Can I get a fist pump for fall baking season? Admittedly, we cook with pumpkin all year round – we blend it in smoothies, add it to our oatmeal, stir it into our waffle batter, and use it for fruit dip. As I’ve said 100 times, I’m talking about 100% pure pumpkin, not that PSL nonsense full of added sugars and other creepy ingredients. Pure, unadulterated pumpkin is where it’s at, friends. 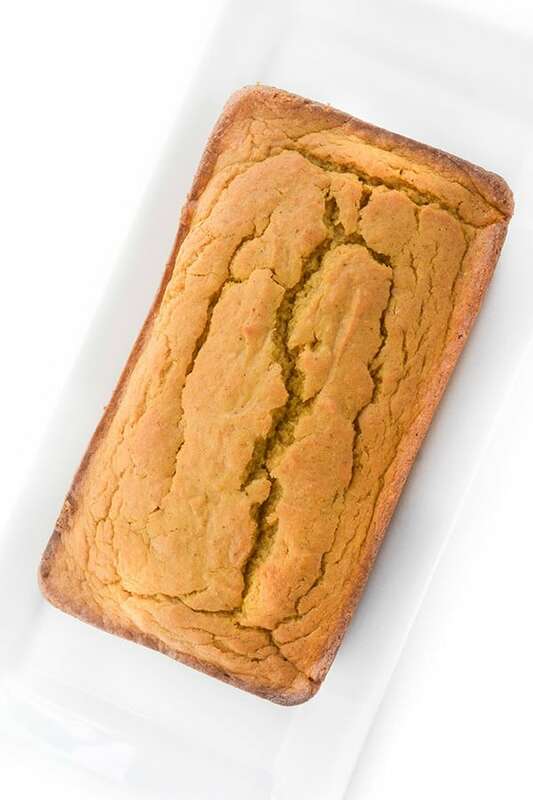 Most recently I decided to bake a loaf of this healthy pumpkin bread full of whole grains, nutrients and fiber. 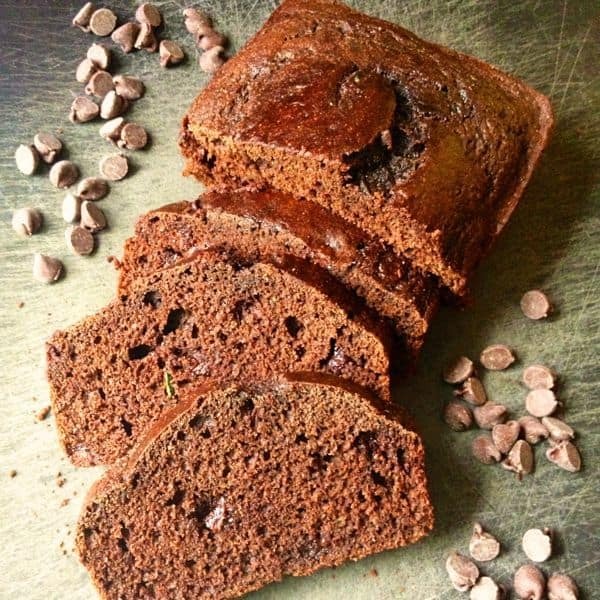 The secret ingredient that keeps it super moist and dense? Plain, unsweetened yogurt. I use it almost anytime I make muffins, pancakes or other baked goods. Made with cinnamon, ground ginger, nutmeg and cloves, each bite is full of that irresistible fall flavor we can’t seem to get enough of this time of year. Pre-heat oven to 350 degrees and position rack in the center of the oven. Butter and flour the bottom and sides of a 9” x 5” loaf pan. Be sure to remove any excess flour. In a large bowl, whisk together dry ingredients: whole wheat pastry flour through ground cloves; set aside. Using a stand mixer, beat together coconut oil, pumpkin and plain yogurt on medium speed until fully blended. Add in eggs one at a time followed by the vanilla. With the mixer on medium speed, slowly add in the dry ingredients and mix until just incorporated, careful not to over mix. Pour batter into the prepared loaf pan. Bake for 50-55 minutes or until toothpick comes out clean. Let cool completely on rack before slicing. Bread can be stored in an air-tight container for up to four days. 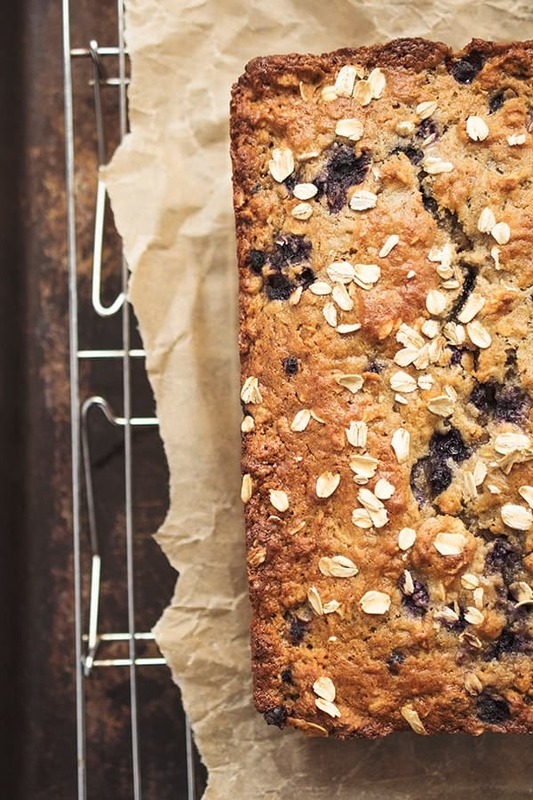 Want to see more healthy baked goods recipes? Find some on my Pinterest board! If I wanted to sub maple syrup for the sugar how would it change the measurements? You can’t just replace sugar with syrup I’m afraid. :) Sorry! Maybe it’s staring me right in the face & I’m missing it but what counts as a serving in the nutritional breakdown above? 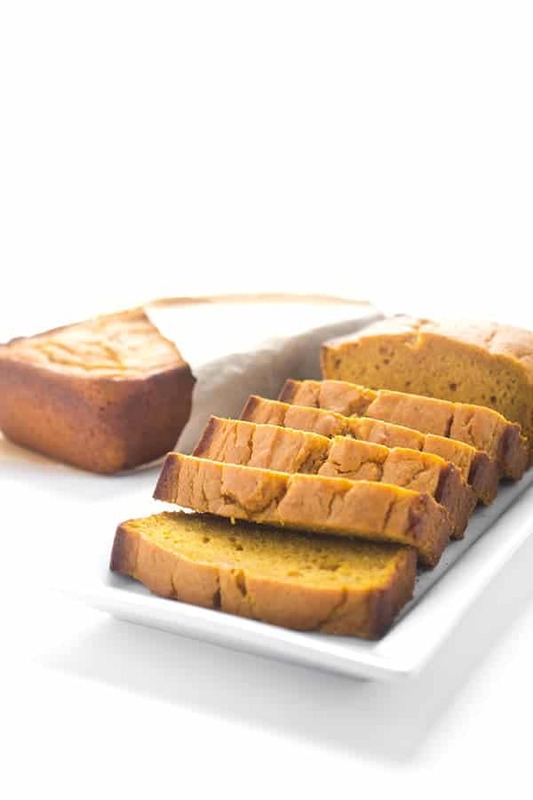 I just started calorie counting & I want to try this recipe out but need to know how much pumpkin bread I can shove in my face “responsibly. Oops sorry about that! It makes 16 slices and 1 slice is a serving. Enjoy! 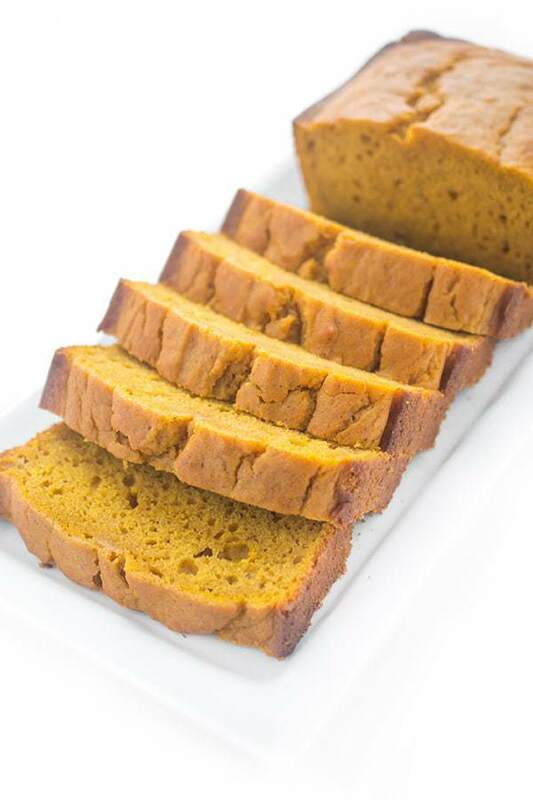 Your pumpkin bread sounds so good! I love that it includes coconut oil and whole wheat pastry flour is so great for quick breads. Pumpkin needs to be a thing year round..I AGREE. I’m the same way! And yes it totally would!